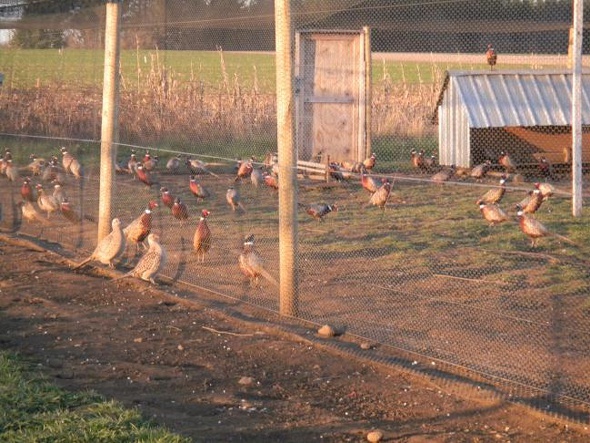 Queener Ridge Pheasant Company - Game birds for preserves, field trials, competitions or release. 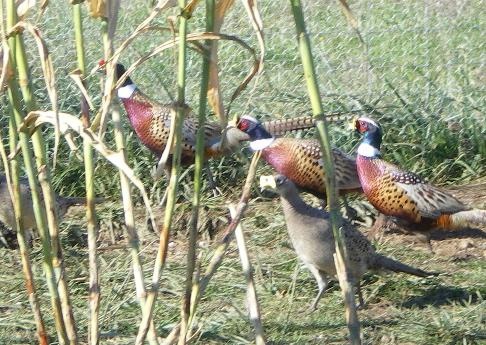 We at Queener Ridge Pheasant Co. are dedicated to re-establishing the pheasant population in our area. As a business endeavour, we strive to reach this goal by offering high quality pheasant stock, with the stability of the population foremost in our mind. 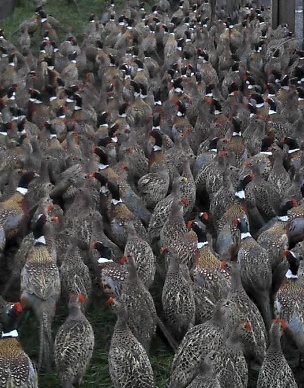 Our Pheasant stock is top quality. We sell above average birds. These birds are for the avid dog trainer, they fly fast and far and offer a challenge to both trainers and dogs. Our clients say that these birds are the quickest and strongest flying birds they've ever seen. Many have stated that they "are just as fast as native birds from the Dakotas." 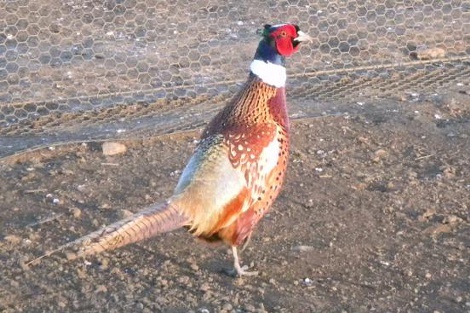 We take pride in the fact that we can provide high quality pheasant stock and invite you to enjoy these spectacular birds, too. Contact us for price and availability on larger quantities (100+). One of our pheasant flyways. These flyways measure 150 ft or 200 ft long, by 50 ft wide, 14 ft high at the center, and 8 ft high at the edge to allow the birds plenty of room for natural flight. We plant a variety of food and cover in our flyways to introduce the birds to natural habitat. During a loadout birds are assisted into our alleyways between pens, and then gently placed into stack crates for transport. The utmost care is taken to ensure the safety and health of the birds during this operation. Copyright 2012 DRS Consulting All Rights Reserved.